Every time I go to India, my mum gives me freshly milled flour (different flours Millet, Bajra, Finger Millet, Multi grain etc...) This time when I was in India my mum made Millet dosa. It was very tasty. I asked my mum for the flour. 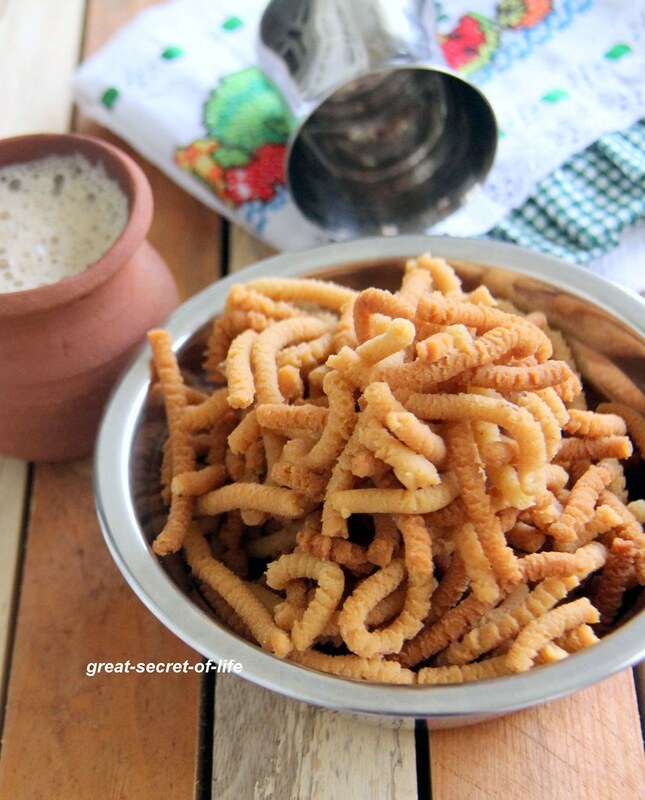 It is a mix of Varagu ( Kodo Millet), Kuthiraivalli (barnyard millet), Samai (Little Millet) in equal qty. 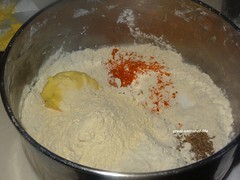 I din't have stepwise pic for making the flour. But you can take equal qty of these millets. Dry roast them till nice aroma released. Cool down and powder it. Store it in an Air tight container. It stays for at least a month but in the fridge even longer. I use this flour for almost like Rice flour. 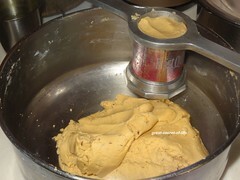 I made butter murukku with this. It came out very crispy. It is quite addictive too. 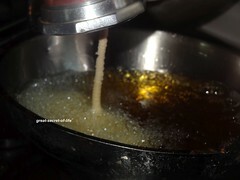 Take broad vessel and add all the ingredients except oil. Mix well. 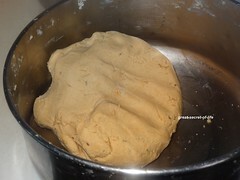 Add water little by little and make a soft dough. 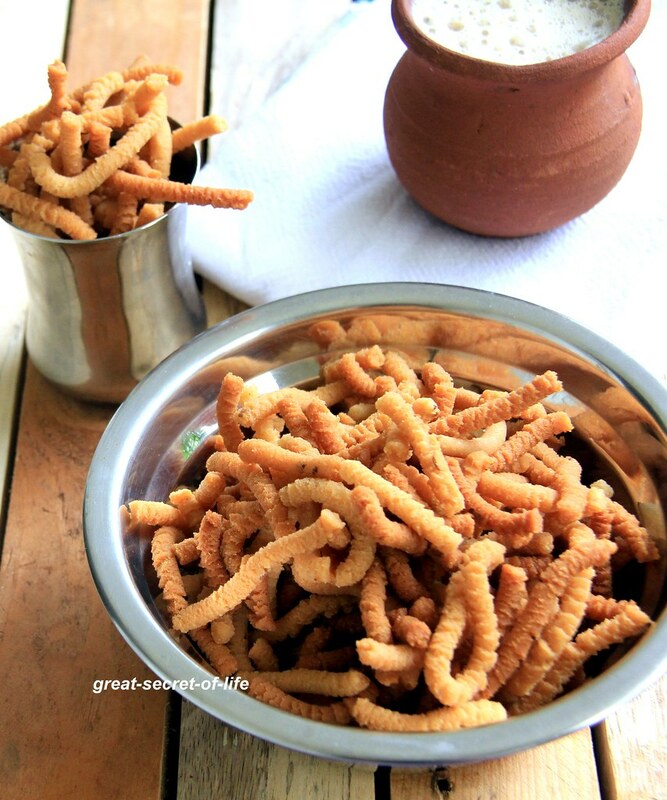 Take Murukku presser and put in your preferred plate. I have used 3 round hole one. Fill it with dough. 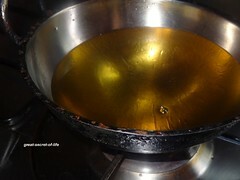 Heat the oil in deep pan. 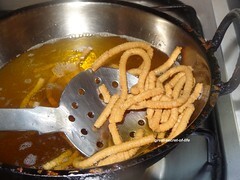 When it is hot reduce the flame and press the murukku directly to the oil. Do it carefully. 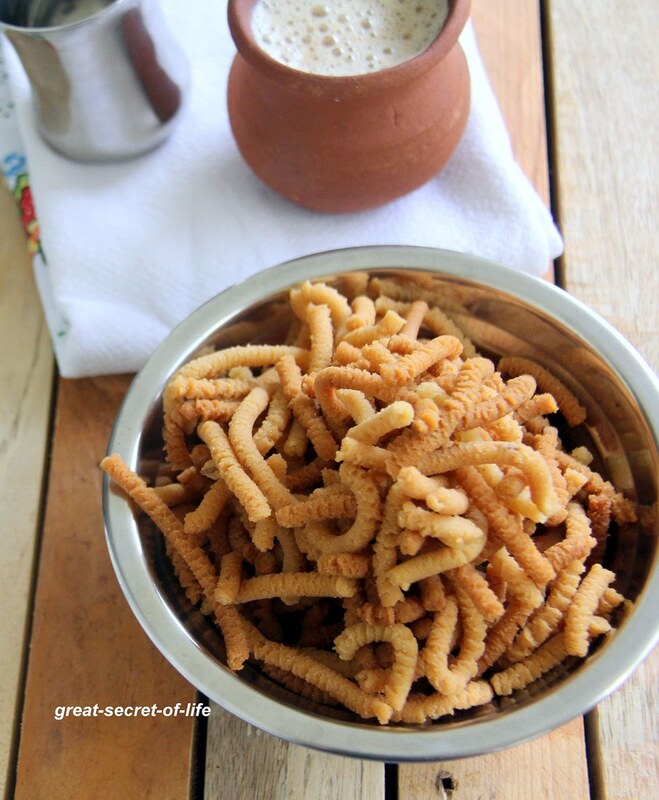 perfect snack for the season!! Love the millet version!! 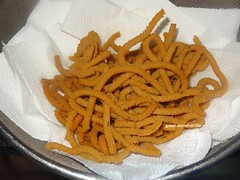 The murukku looks super crispy..